The Prince of Darkness, aka the Godfather of Heavy Metal, aka John Michael Osbourne celebrates his 70th birthday today. To mark the occasion we thought we would explore how Ozzy influenced the members and music of Faith No More. "Jim and Mike Bordin are really into Black Sabbath, but I've never listened to them in my life except for [one] song. Mike and Jim were little Heavy Metal Monsters. Jim's grown up into a big Heavy Metal Monster." 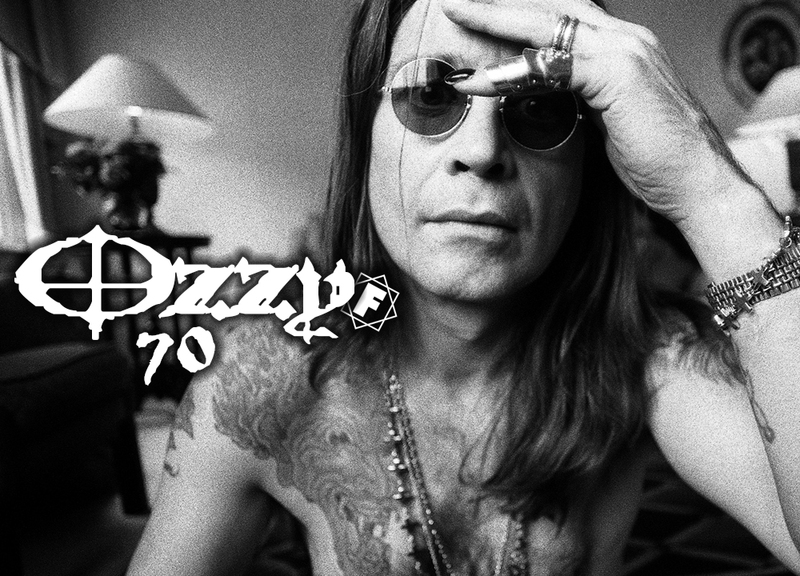 Ozzy rose to fame in the 70s as frontman of iconic originators of UK heavy metal Black Sabbath. Like for many young musicians Ozzy’s unique tone had a profound effect on two members of FNM in particular, Jim Martin and Mike Bordin. For 'heavy metal monster' Jim Black Sabbath's Paranoid was the first album he ever bought. Puffy discovered a love of guitar music at an early age but it wasn’t until he heard Black Sabbath that he would truly find his passion. Like Jim the first album he bought was by Black Sabbath. It was Jim and Puffy's devotion to Black Sabbath that prompted the band to add a note for note faithful version of War Pigs to their set in 1986. Chuck Mosley has also cited Ozzy as an early influence, however Bill Gould has an alternative explanation as to why the song was covered. Whatever the motives were, in 1989 a stunning version of the song, complete with tongue in cheek powerhouse vocals by Patton, was recorded and added to FNM's album The Real Thing. Puffy's dream of connecting with his hero was realised on November 9th 1990, when FNM were joined onstage by Ozzy for a performance of War Pigs at the forth birthday party gig for RIP Magazine at Hollywood Palladium. 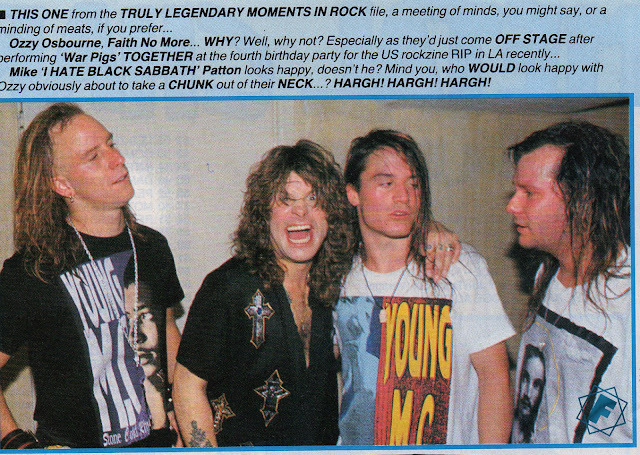 In 1995 Puffy would reconnect with Ozzy when he and FNM were both on the Monsters Of Rock stadium tour line up together in South America. During the next year all the individual members of FNM went their separate ways pursuing different projects, Patton toured with Mr. Bungle, Roddy recorded with Imperial Teen and Bill lost himself in foreign culture. When Ozzy decided to freshen up his band he called up Puffy and asked him to join him on tour. At a time when FNM were struggling to remain a band it was his dream job. The Ozzy touring commitments during 1998 and a brief stint filling in for Bill Ward in Black Sabbath (who was suffering from health issues) interfered with FNM's plans, and after FNM broke up Puffy found full time employment with Ozzy for the next 12 years. FNM comically (?) placed the blame of Puffy, "Puffy started it" . He was part of Ozzy’s band on four world tours and recorded drums for three studio albums Down to Earth (2001), Under Cover (2005) and Black Rain (2007). As well as Live at Budokan (2002) and re-recordings of Blizzard of Ozz (2002) and Diary of a Madman (2002). If you look carefully you will catch a glimpse of Puffy on The Osbourne's TV show! Puffy only left employment with Ozzy when FNM reunited in 2009.